Sometimes, a dog or a cat just won't do, so why not try a pet otter or capybara? 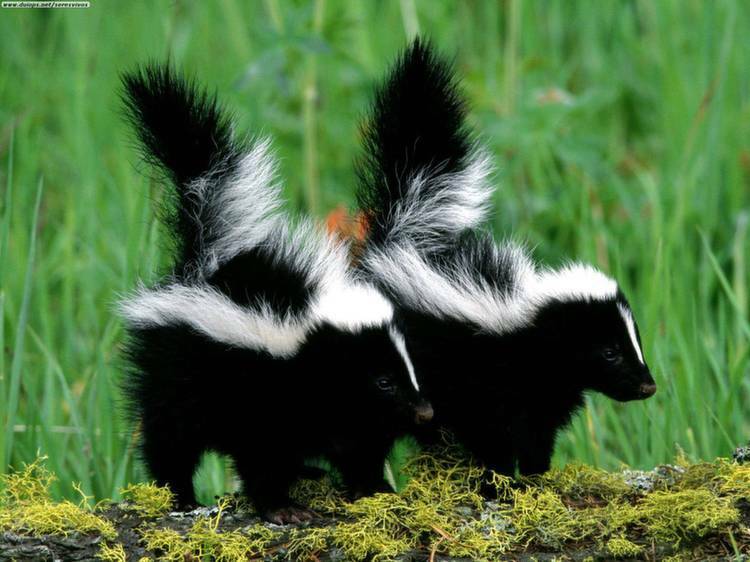 Skunks have one obvious drawback which is why they’ve never really taken off as pets until recently: their smell. However, domesticated skunks have their scent glands removed when they are young, which makes them safe to keep around the house. 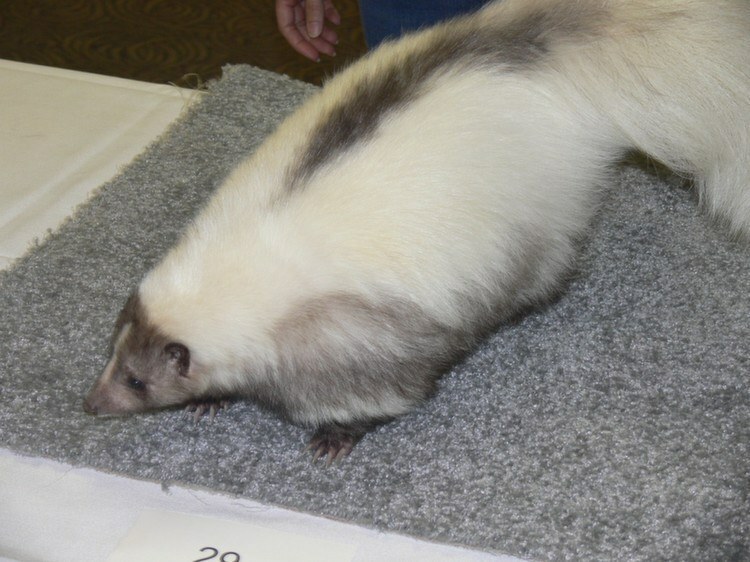 Once you get over their less-than stellar reputation, keeping a skunk as pet is similar to owning a cat or a ferret. But as with most pets, if you want to have a strong bond with them you have to give them extra attention when they’re young. Before you join the Pepe Le Pew fan club, you’ll need to find out if owning a pet skunk is legal in your state. It’s still illegal to own a skunk in most states, so don’t get your hopes up. If you do get one, you can plan on it keeping you company for around ten years. If you keep thinking to yourself “You know what? 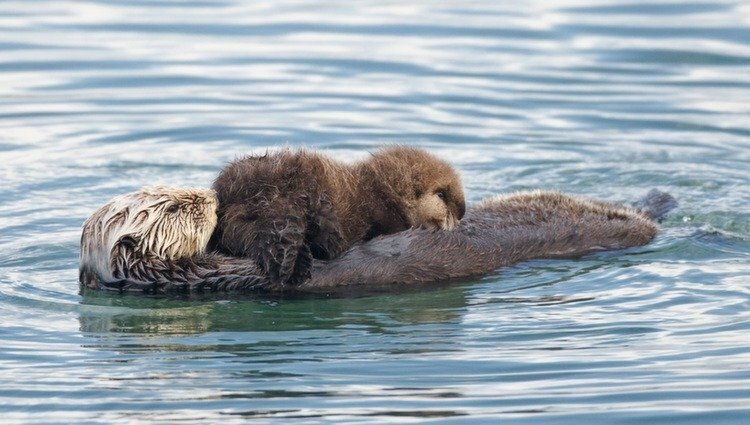 I have too much nice stuff in my home”, an otter can fix that problem for you in a moment’s time. 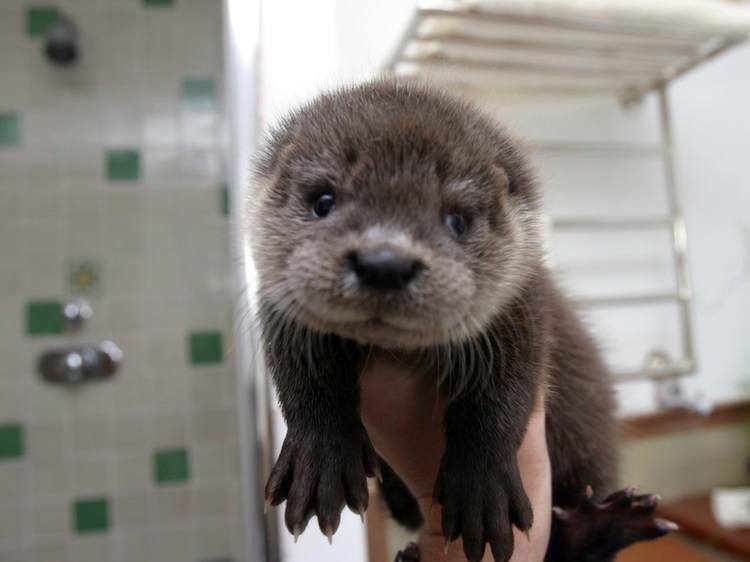 Owning an otter is like unleashing Taz the Tasmanian Devil inside your house. Otters are frequently described as “ferrets on crack,” and for good reason. They will go through every inch of your home, finding and playing with (and probably destroying) everything they can get their paws on. Sure, you’ll probably have a lot of funny moments to capture on camera — just be prepared to pay a steep price for them. From a legal standpoint, owning an otter can be trickier than a skunk, but it is possible. They love water so it is best if you have a body of water nearby for them to frolic in. You’ll also need access to plenty of fish. 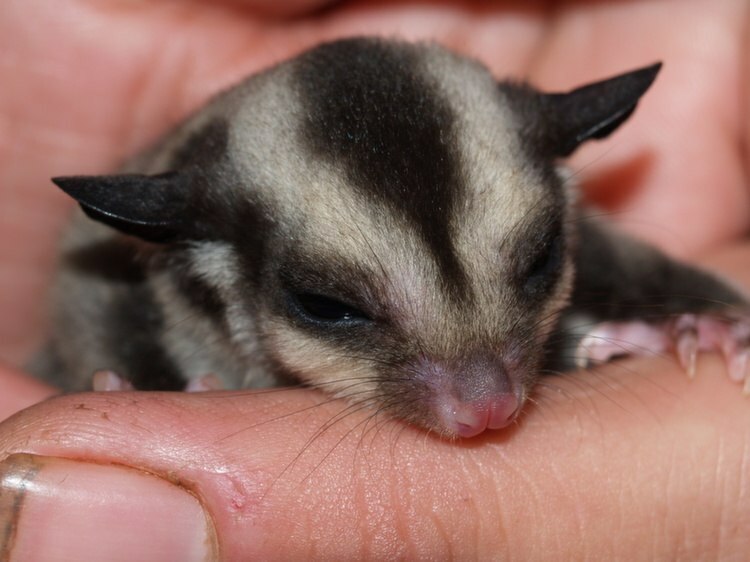 Sugar gliders are quickly becoming America’s new exotic pet darling. Small and very adorable, sugar gliders have a distinctive membrane stretching from its front to hind legs which allows them to glide from tree to tree. It is unlikely that they will make much use of that membrane in captivity, but they should still be kept in large areas with plenty of stuff to climb. 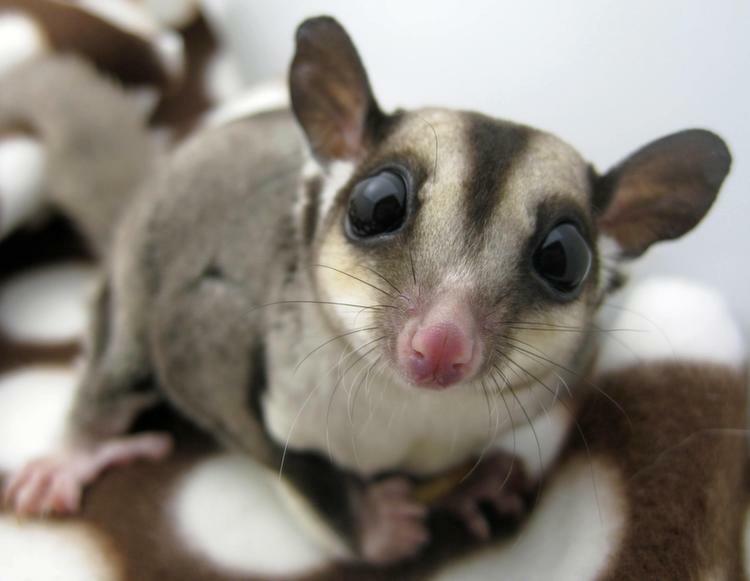 Sugargliders are marsupials from Australia, but are actually part of the opossum family. Since they are still categorized as exotic pets, ownership restrictions vary from state to state. One important thing to note about sugar gliders – they are nocturnal. It is very hard for them to adapt to a daytime schedule so they are mostly recommended for people who are active at night themselves. 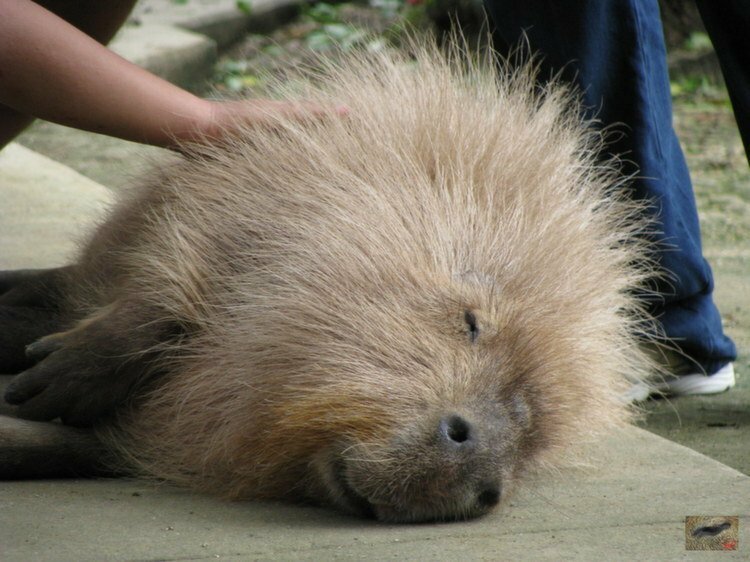 Just think of the capybara as the XXL version of that guinea pig you had when you were a kid. 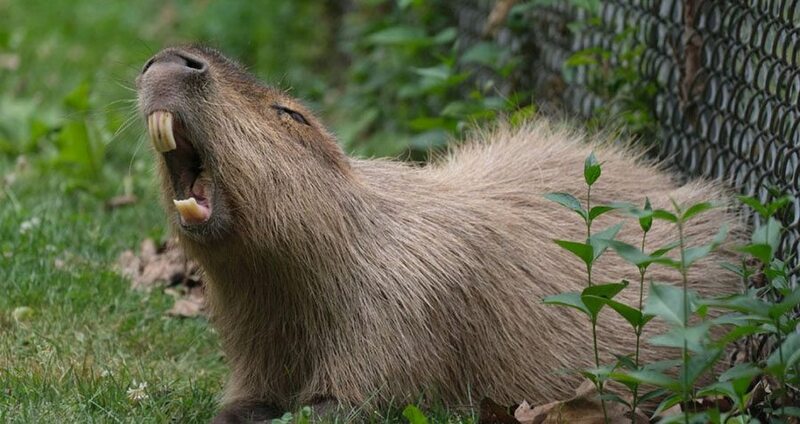 This is accurate because capybaras are the largest rodent in the world. They often exceed 4 feet in length and 100 pounds in weight. 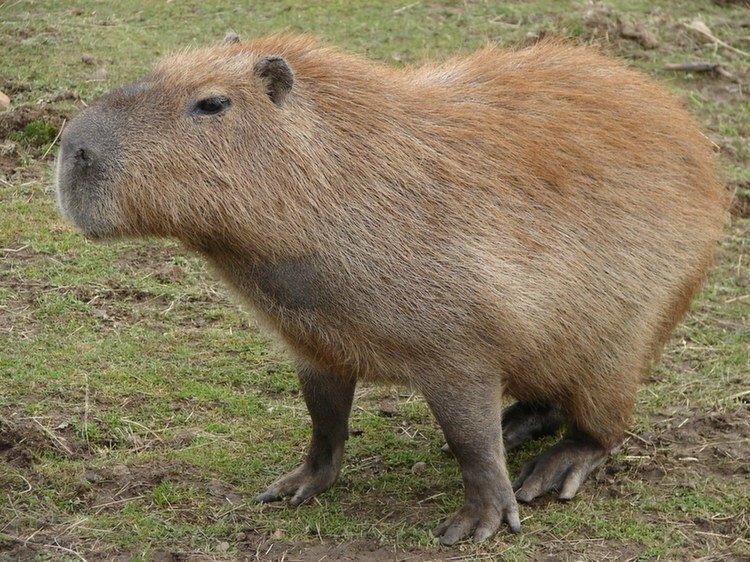 As exotic pets, not all states allow people to own capybaras and they aren’t really a good idea for families with small kids, anyway. Even if they are raised from infancy, capybaras still maintain a sense of territoriality and can bite those who get too close. They will also need a lot of open space to explore, as well as access to a pool or a lake because they enjoy spending most of their time in water. If the main traits you seek in a pet are weirdness and originality, an axolotl is the perfect choice. 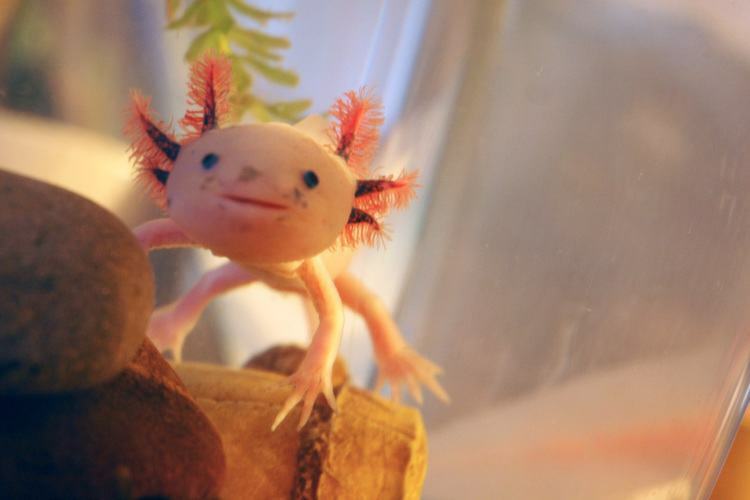 They are critically endangered in the wild and nowadays it is actually possible that more axolotls are held in captivity than in their natural habitats in Mexico. 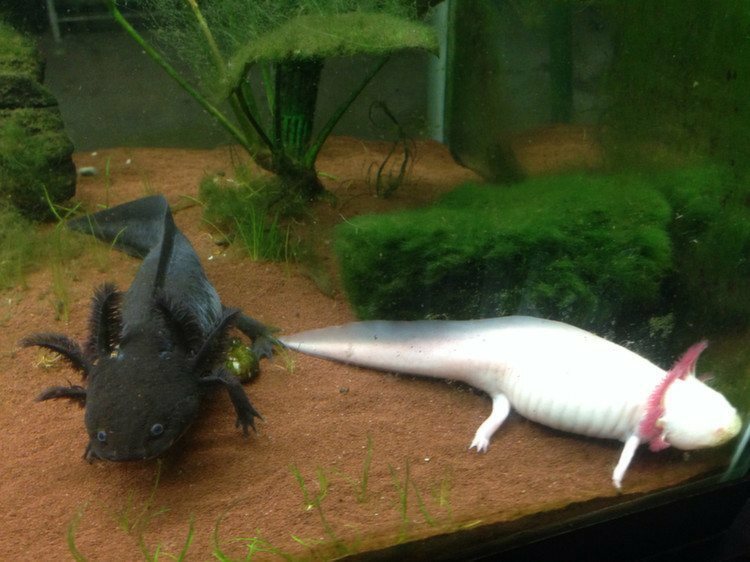 Axolotls are salamanders with a very interesting characteristic – the adults never really get over the larval stage. They do grow, but they never metamorphose into land animals like most salamanders do, and instead remain aquatic creatures. Like other salamanders, axolotls also have the ability to re-grow body parts. 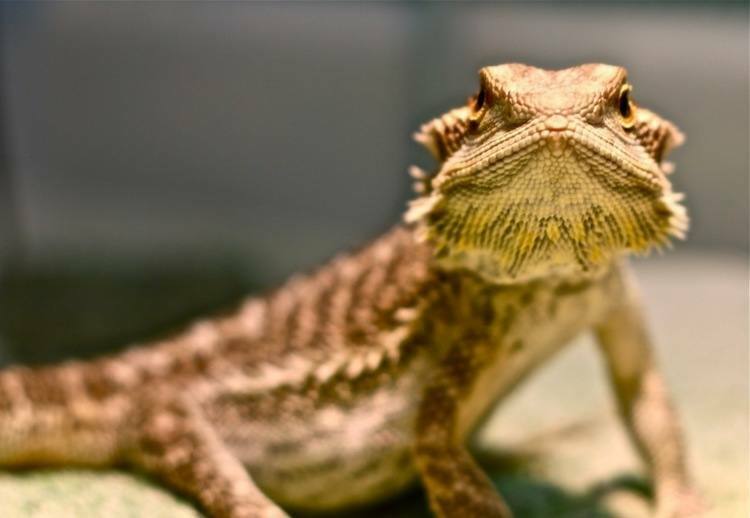 Reptile lovers looking for something different can acquaint themselves with a bearded dragon. Originally from Australia, this guy is relatively friendly and docile and doesn’t pose a threat to humans, even children. 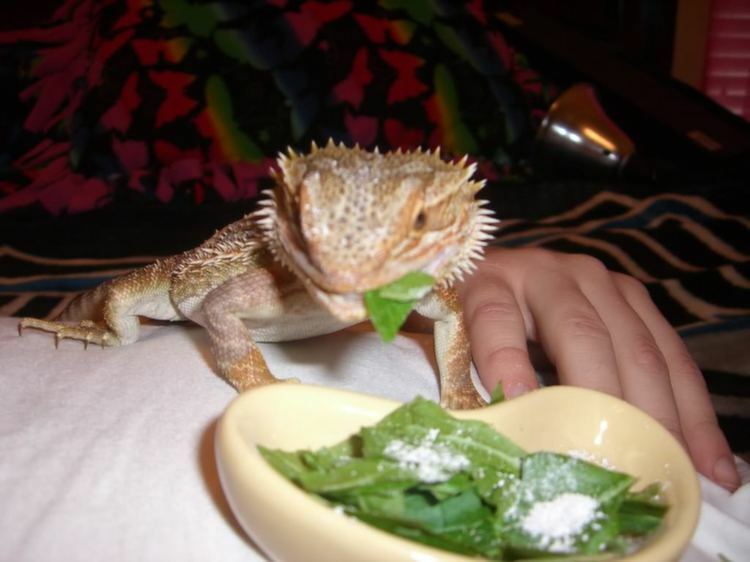 That, combined with the fact that they are easy to take care of, makes bearded dragons very popular as family pets. A full-grown adult can reach up to 25 inches in size and weigh around 20 ounces. Its name comes from the “beard” surrounding the animal’s throat, which will expand when the animal feels threatened or is trying to show its dominance. Dragons work best as solitary pets, although females can usually get along with each other. The males, however, will often fight to show which one is the dominant one. Enjoy learning about these weird pets? Then check out our other posts on ocean animals facts and the world’s ugliest cats!